RETIRED lawyer Lim Chin Joo, 77, is launching his memoirs today, 47 years after he was released from detention for alleged pro-communist activities as a student activist and trade unionist back in the 1950s. The book in Chinese, titled My Youth In Black And White, tells the story from his birth in Pontian, Johor, to his days as a student activist in Singapore at the former Chinese High School - now part of Hwa Chong Institution - and briefly as a trade unionist before his arrest. 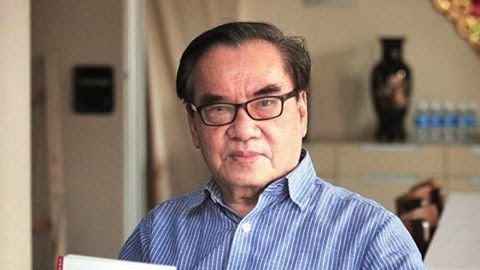 The younger brother of the more prominent, late leftist trade unionist and politician Lim Chin Siong, he was locked up for nine years between 1957 and 1966, and studied law while in prison. After his release, he joined the civil service before starting his law practice in 1973. He retired in 2002. Now vice-president of the Ee Hoe Hean Club, a gentlemen's club for Chinese businessmen, Mr Lim has previously kept silent about his past. For years, he turned down media queries until he agreed to be interviewed for Hwa Chong's 90th anniversary commemorative magazine in 2009. In it, he described briefly his involvement in the Chinese students' movement, his detention and life as a lawyer. Two years ago, he gave a talk on his "three years in The Chinese High" to mark the May 13, 1954 incident in which Chinese middle school students clashed with riot police for the first time over the issue of conscription. His 442-page book will be launched at the Singapore Chinese Chamber of Commerce and Industry Building's auditorium today at 6.30pm. About 400 guests have been invited to attend. He and his brother remain well known especially among older, Chinese-educated Singaporeans. Mr Lim told The Straits Times that he decided to write his story after the Oral History Department tried to interview him some years ago. He said: "I stopped after only one interview because I realised I needed more time to think and reflect before coming up with my answers." Then he decided to write his memoirs instead. Although he was an active student leader and trade unionist for only about two years, he said the events he witnessed were significant and worth retelling from his perspective, especially his involvement with the Singapore Chinese Middle School Students' Union and Singapore General Employees' Union, and his days in prison. He also paid tribute to several other leftist student and political leaders, including his brother Chin Siong, the late Lim Hock Siew and Soon Loh Boon. A section of the book includes material written by his brother. It contains Lim Chin Siong's handwritten answers to questions he had been posed for a radio interview in 1992 but which did not take place in the end (See story below). Mr Lim said he spent $100,000 to publish his memoirs. Proceeds from sale of the book, priced at $28, will go to his alma mater Pei Chun High School in Pontian, Johor. What was Singapore like in the 1960s?